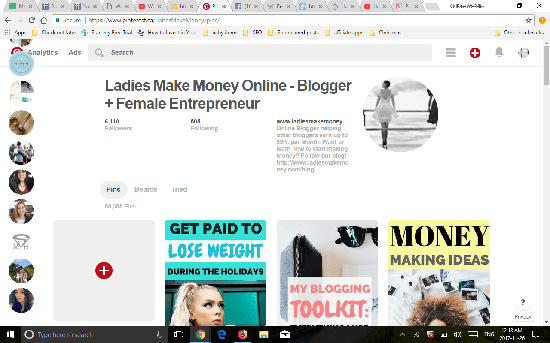 Pinterest, Pinterest, the not so social network that bloggers use to promote their blogs, get inspiration and lot of great ideas. Are you using Pinterest the right way? I am no expert, but I have taken a couple of courses, read up on it and talked to a few experts, so I know little something something. And yet, I keep seeing bloggers not properly using the platform. 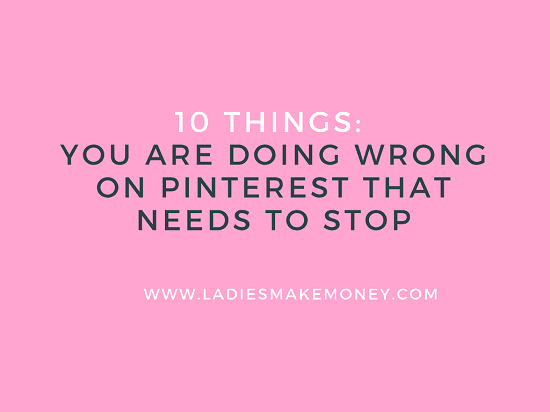 This blog post came about after seeing the same things over and over again and I realized a few people were using Pinterest completely wrong and some of you may not even know it. I decided to document the top 10 things I see over and over again in the hopes that it can be corrected and we can all benefit from it. I am not sure if this is now a pet peeve of mine or maybe I am just not sure if it is benefiting you. 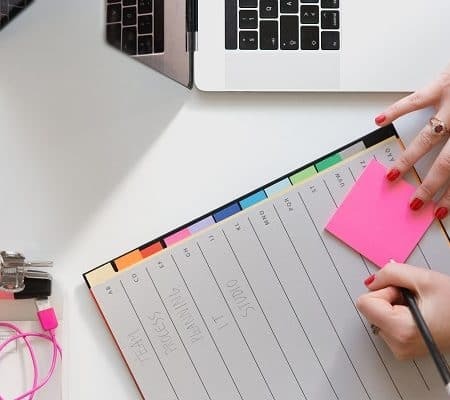 The first thing is that you should pick a name that reflects your blog or business especially if you are using Pinterest for business. So, if your blog is Mom Condo (Just an example – I did not look this up). Then your Pinterest name should be Mom Condo and not MomCondo. I keep seeing people combining two or three words. What’s up with that? As a person that get’s thousands of request to join my Pinterest groups daily, these names can be so confusing. Separate them if possible. 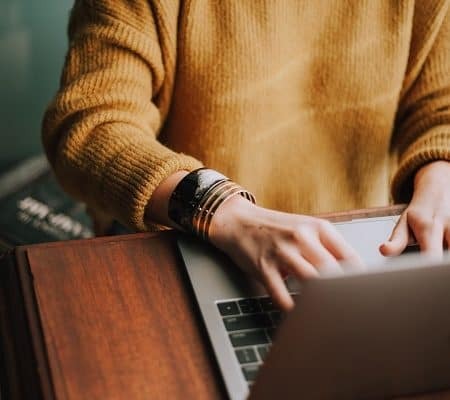 Here is why, if I am doing a search for you on Google or Pinterest, I am probably typing it out as two letter words – Mom Condo and not MomCondo. Anyone else that has that name will probably come up first. This means you are losing out. If someone already has that name. Don’t be afraid to add another word in front of it such as Mom Condo Specialist or something along those lines. Just don’t combine the words (if possible). After taking a few course, we were told to use keywords in order to increase the chances of getting found. But after getting so many requests about joining my boards, I was left wondering who exactly you were.The request would go like this: I want to join your board, and here is my Pinterest URL, I ran a blog called ABC”. Me: I click over to your link, I see either just your full name or a business name that I do not recognize. And I wonder who exactly you are. I am a blogger and Entrepreneur, and you are? I am assuming you are using Pinterest for your blog and business. If you want to be found, you need to use keywords. You have up to 500 characters to add to your descriptions, use them wisely. Remember that Pinterest is a search engine that people use daily to search for ideas and inspirations. If you are not using the right keywords to be found then you are loosing out, you won’t be found. When I go to pin an image, I always take a look at the description provided. And if I see no description, I sometimes do not Pin the image. Why? Because I want to ensure I am pinning quality items. Pinterest will reward me for pinning great content and keywords is a part of you properly using Pinterest. This strategy should be implemented every time. I sometimes participate in Pinterest threads and when I see poor to zero keywords, I skip it. Same with your Pinterest boards. When I land on your accounts, I want to know what a particular board is all about. So use keywords to describe it. When people do a search, your boards will also show up including any Pins you may have. Double bonus. This one is a little tricky. Everyone has an opinion of what a good quality pin must look like. According to Pinterest, Pins that are vertical perform well and those that are 735 PX wide by 1102 PX high do even better. Adding your blog URL to your images brand the look even better. Another factor to consider is the link that the image lands on. Lately, a few images on Pinterest were getting stolen and redirected to spam like websites. A few of mine were getting redirected to spammy sites. I had to report them to Pinterest. Pinterest will penalize you if you spam the platform. It is crucial to ensure that the pins you are pinning are leading directly to a good and correct site. Don’t forget to check your own images on Pinterest from time to time to ensure that they still lead back to you. That is why its crucial to have your URL on the image itself in case people want to follow up if your link was altered in any way. This one is really annoying. Pinterest will not reward the group board or you if you are not repinning from it. In order for the Pinterest algorithm to know how well a board is performing, everyone needs to participate. There is no point pinning to the board and not repinning as you will bring down the authenticity of the board. 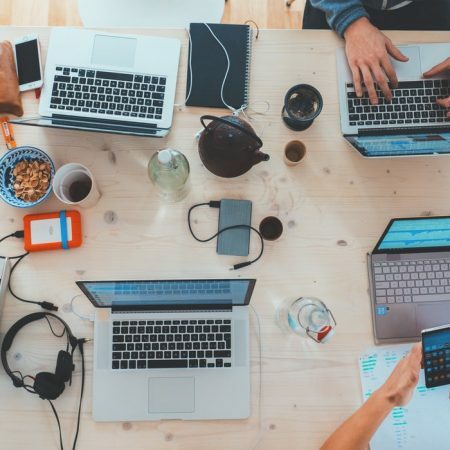 We all want to succeed and Pinterest wants to reward hard workers, great group boards and in return will show more of your pins on the smart feed. In order to help yourself and the board, please repin from the board. This is what I do, for every pin I submit to a group board, I quickly go through and repin. If the image is interesting enough, I will click through to read or save it to read later. The goal is to repin. Then Pinterest will say, wow this board is awesome and will show more of your pins on the smart feed which should be what you want to achieve. A well-performing board is one that has members equally participating. Make it a habit to repin from the board as much as you can. I am assuming you want more blog traffic. 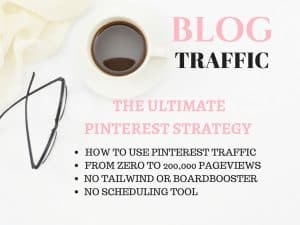 Using Pinterest the right way will increase your blog traffic. Don’t self-promote. The same way you need to repin from the boards, repin from the smart feed. Most images in the smart feed area are what Pinterest has deemed high-quality pins. Go on and pin 2 to 3 of these per day and you will be rewarded greatly. You can also check what’s trending on Pinterest and repin those. The more popular images you pin to your board, the more you increase the status and performance of your own account. Pinterest will favor you more and reward you by showing off your pins. If you are serious about using Pinterest for business, you need to pay better attention. Why would you pin a post about makeup to a board about saving money or vice versa? Keep on the topic as much as possible. The point of a board is to put together information that matches up if you will. If I stumble upon a board that is dedicated to using social media, I want to see information about how to use social media. If I want to learn how to use makeup, I will search for boards or pinners that post about this and maybe follow them. Do not kill the look and feel of a group board by pinning irrelevant information. Stay on topic when using Pinterest to promote yourself. This will turn off other bloggers when they land on your board or a group board that is off topic unless its board about everything. You will also be wasting your time and traffic by pinning your decor images to a board designed for how to parent teenagers and people will skip your off-topic pin. It’s best to stay on topic. 8. Pin your own Pins over and over – looking like spam much? Okay, we want you to pin your work. After all, you are marketing and promoting and what way to do this than using Pinterest? But Pinterest hates spam. The first thing you need to do is to space out your pins. If you have just published a post, pin it to your best of boards and on three others (space it out) and pin other pins from your boards or blog, repin from the group and from the smart feed. 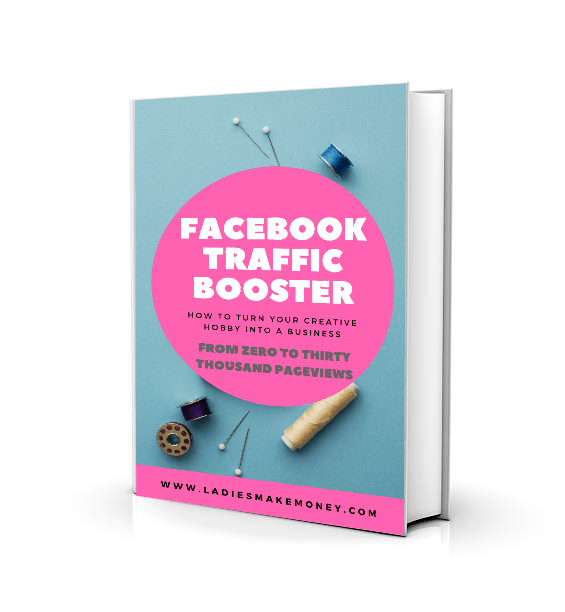 Now Carly from Mommy on Purpose has an amazing strategy she uses that has helped me skyrocket my traffic. It’s hard to explain it but she does a better job. 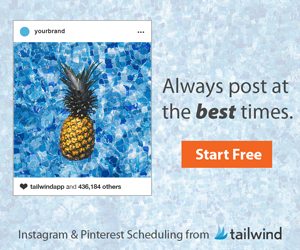 I use a scheduler when using Pinterest to pin my work- Tailwind to be specific, but you need to show up on Pinterest once in a while in order to be rewarded. This is the best way to ensure you are not spamming by automating your process, you are also ensuring you are pinning from the group as well as from the smart feed. If you are not sure on how to live pin, then read this post. Pinterest rewards users that are engaged with the platform. Even if you spend 10 minutes a day to do a quick live pinning, preferably in the evening, the better results you will get. The goal is to start using Pinterest in such a way that you will get more from it, which is the traffic. 10. Adding your URL to your description- Say what? Like I mentioned earlier, you have 500 characters- USE IT WISELY. Can you tell me why you are adding your blog URL to your descriptions? It is not clickable, it looks a bit like spam and no one is copying and pasting it to go to your blog. Also, it is not a keyword. Add your URL to your image (graphic) and use the rest of the 470 characters to add relevant keywords that will increase the chances of you getting found and boost your blog traffic. You feel me? 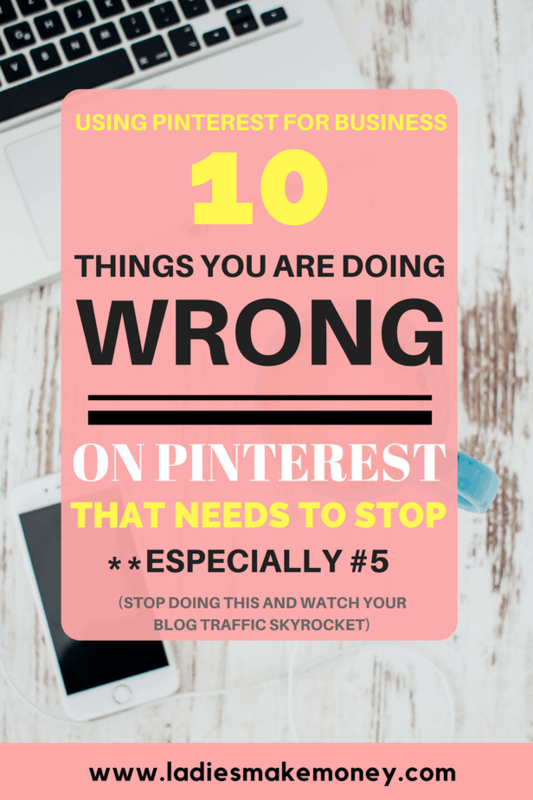 What have you seen on Pinterest that has made you want to skip that pin altogether? We are a team and this is group work therapy session. These are some really great tips, thank you so much for sharing them! I’m super excited to implement some of them into my own Pinterest strategy! Quick question, how many times do you recommend pinning a day? Thanks! 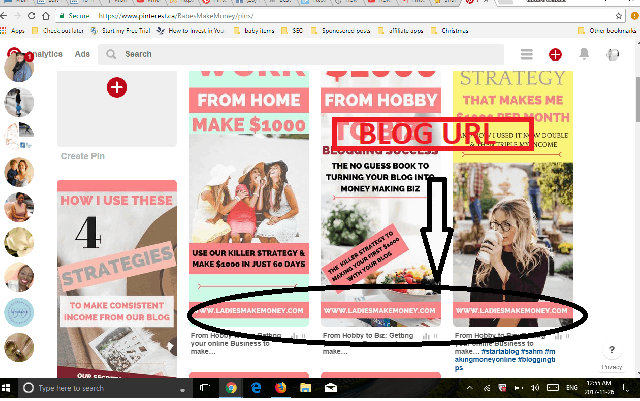 Totally agree that the urls in the description looks spammy, unfortunately I have some in my really old pins because a long while back, they were clickable but Pinterest changed that I am sure because spammers. I try to update as possible. What are your thoughts on deleting pins that aren’t performing, is this something you recommend? Thank you for sharing these tips. I am a new blogger currently trying to figure out how to gain traffic from Pinterest. This post was extremely helpful! 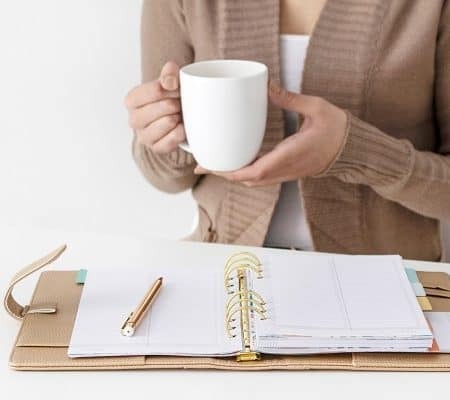 These are some great tips, I learned a lot here in this blog post, Pinterest can be so hard to work with but once you get it, you’re off to the races! Thanks for sharing!